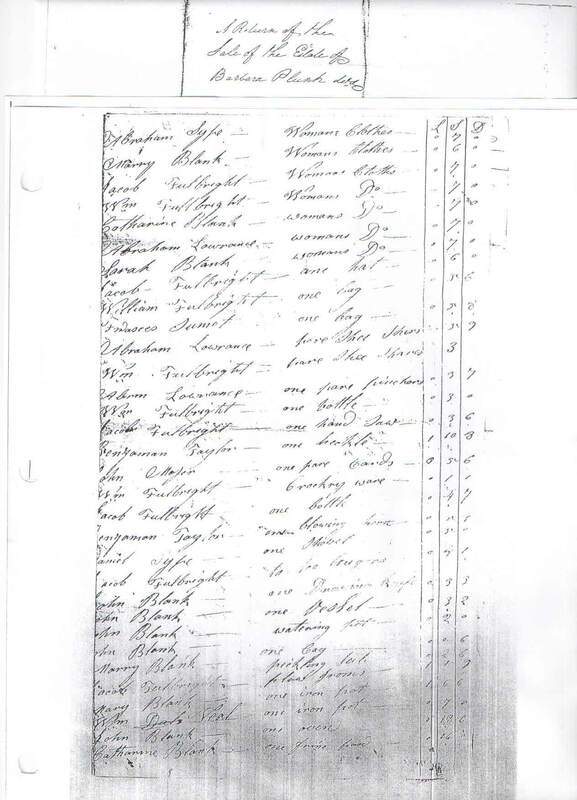 According to oral family history five brothers came to America from Holland via Switzerland. 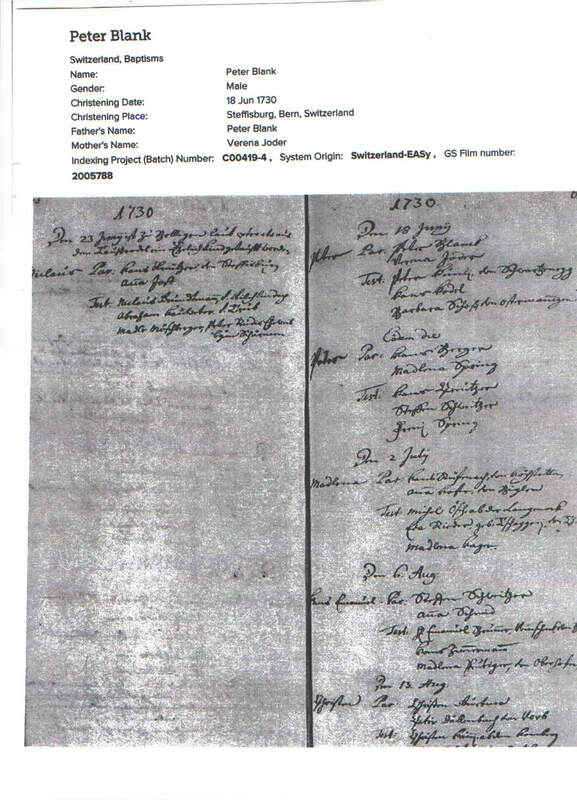 The Ship Queen of Denmark arrived in Philadelphia, Pennsylvania October 4, 1751. 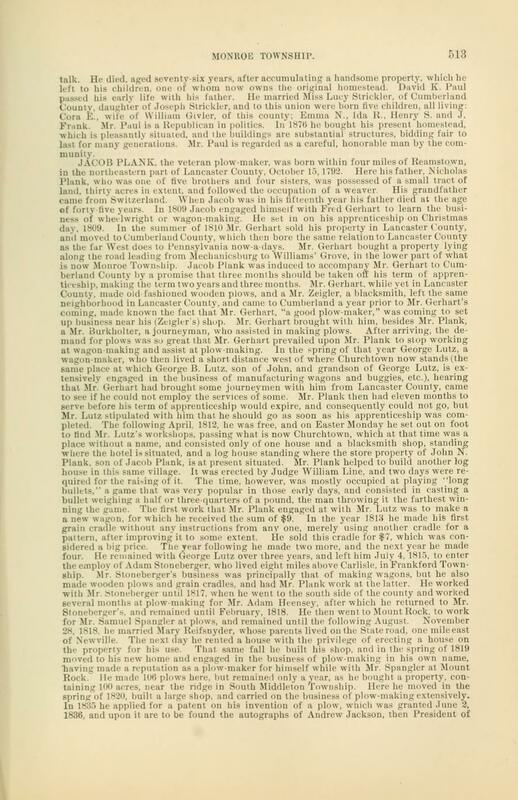 On the passenger list was Christian Blanck, and Hans, Blanck. 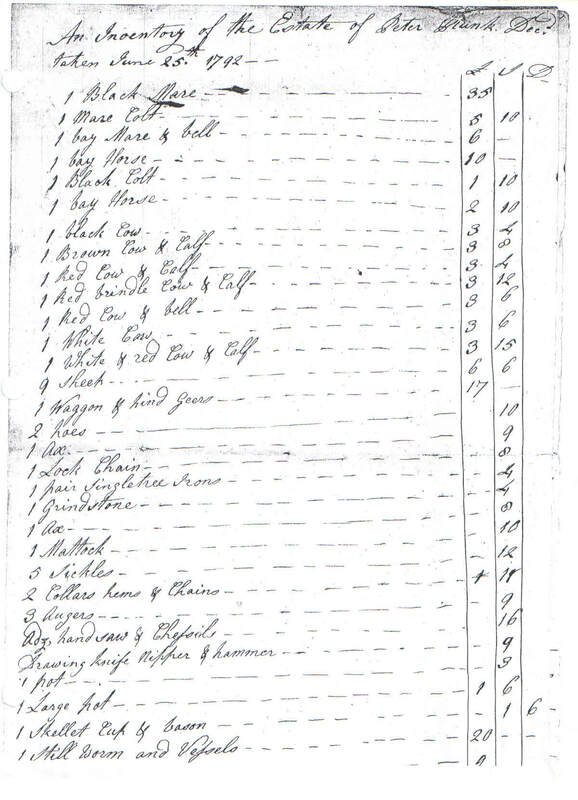 The ship St. Andrew landed in Philadelphia, Pennsylvania September 23, 1752. 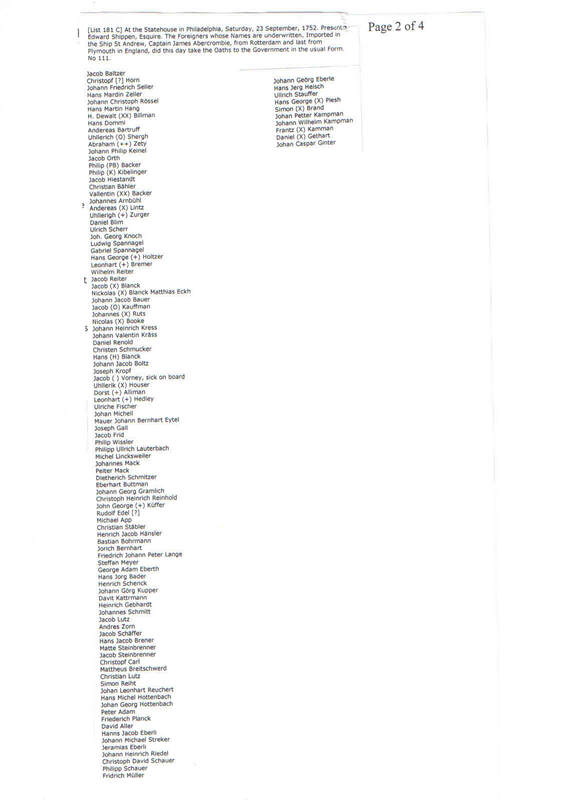 Passenger list includes the following names: Jacob Blanck, Nicholas Blanck, Hans Blanck, and Frederick Planck/Blanck. 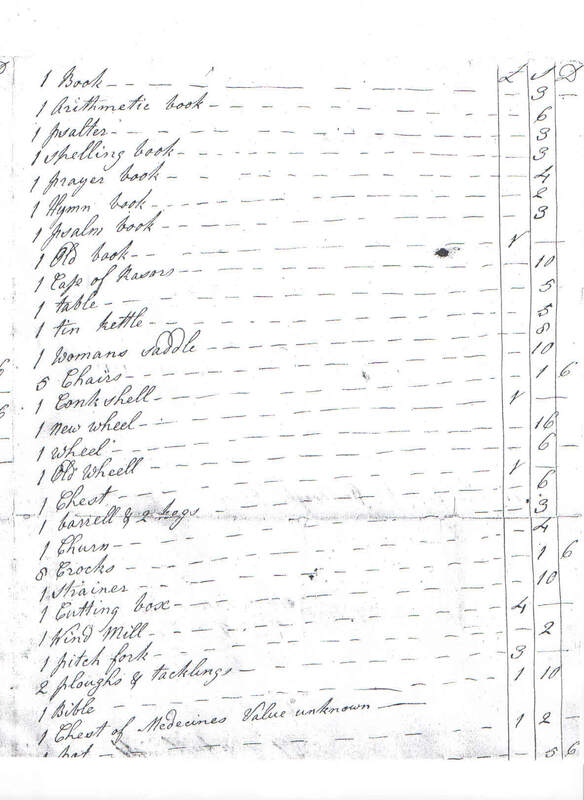 I have a copy of the orginal ship list for St. Andrew and Queen of Demark. 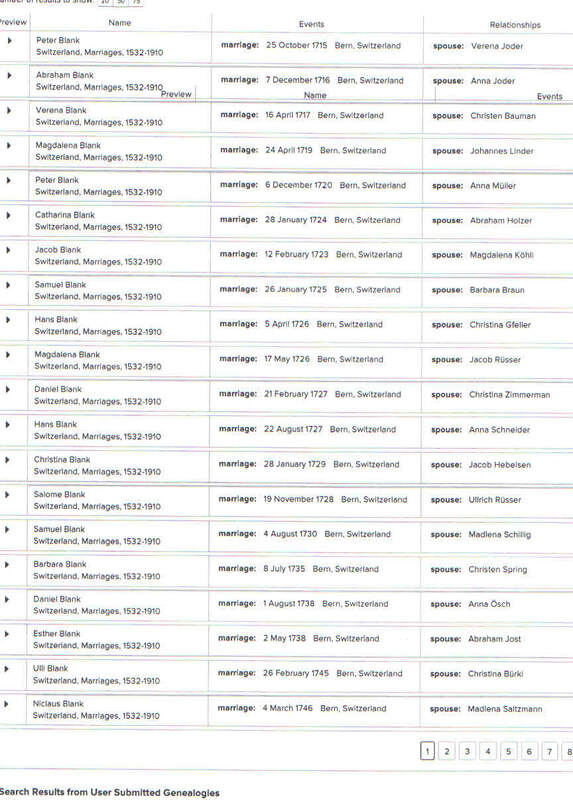 Through DNA analysis by Ancestry.com. I have been matched with following families from Switzerland. Blank, Blanck, Joder (Yoder), Linder, Frye, Muller, Zimmerman, Schneider, Holly. 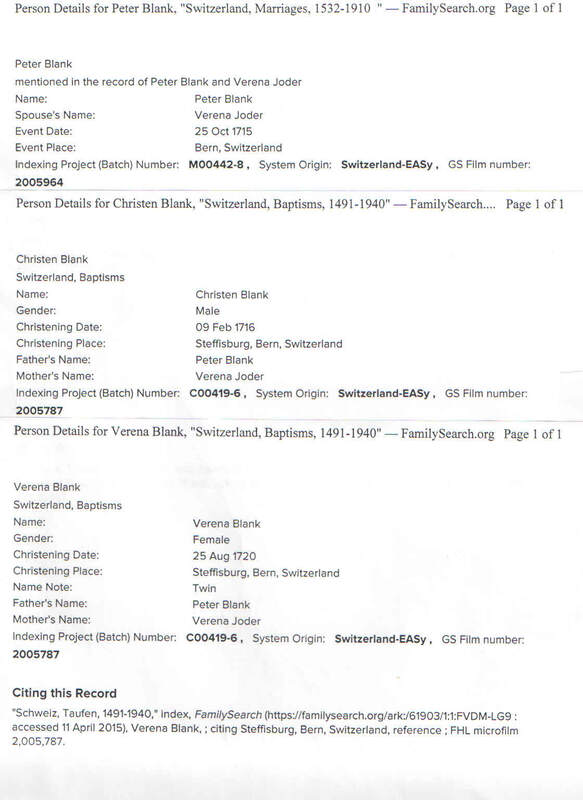 It is my belief the Plunk family are the descendants from the Blank/Blanck family from Steffisburg, Bern, Switzerland. Not to say the below is accurate in its entirety. but it gives us some idea of why our fore fathers came to America. 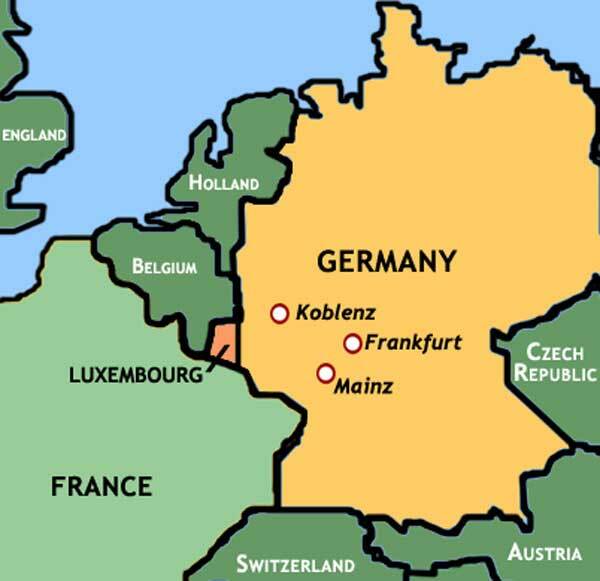 Our ancestors were God fearing people who lived first in Germany, then in Switzerland. Our ancestors left both countries, after years of regilious persecution and suffering. When the persecution followed them to Switzerland, they decided to leave their family, friends, homes and the beautiful country for the promise of better life in America. 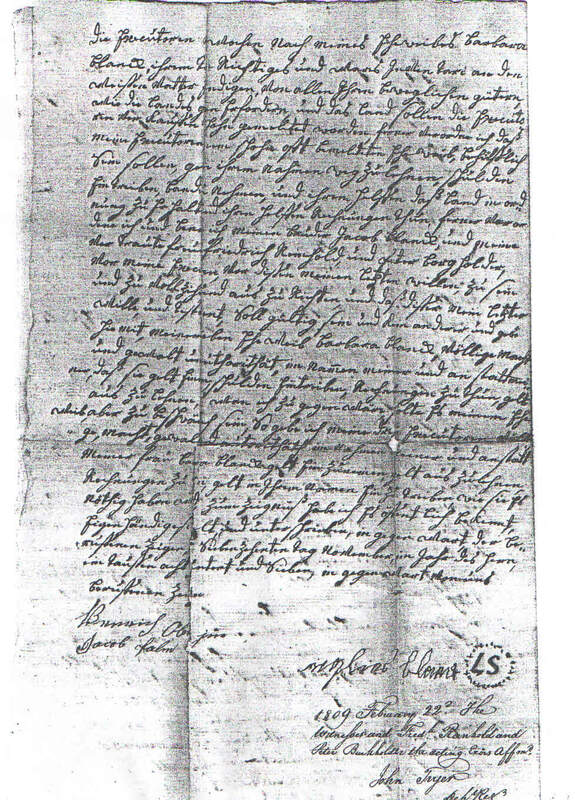 The last Will and Testament of Nicholas Blanck names his brother Jacob Blanck, along with Frederick Reinhold and Peter Burckholder, as the executors of his estate. 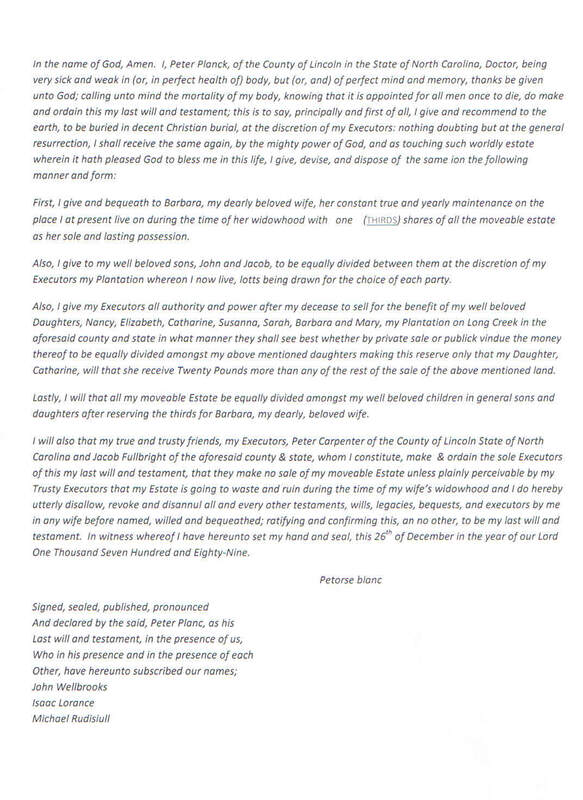 The Will was register with the court in Lancaster County Pennsylvania the 24 day of February 1809. 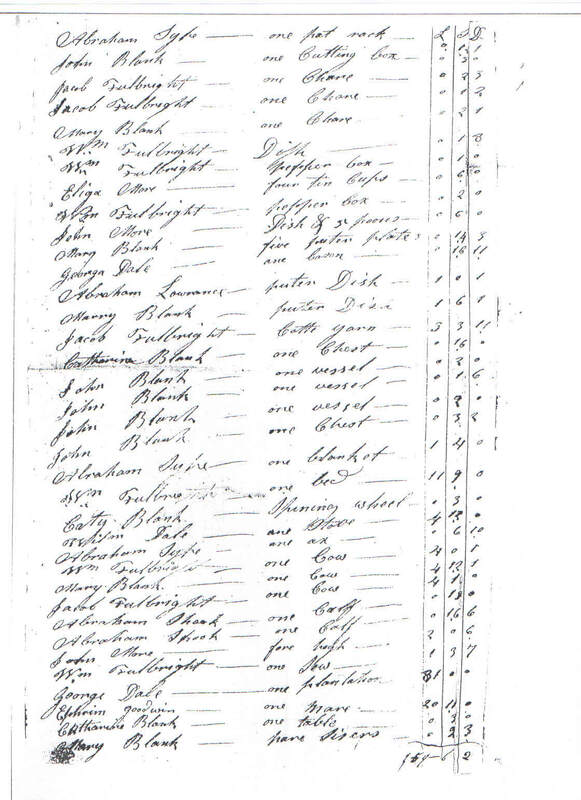 Nicholas and his brother Jacob Blanck are listed on the ship's list of St. Andrew which landed in Philadelphia September 23, 1752. Looking for land in Pennsylania, but not much is left. They heard there's good farmland further south in North Carolina. 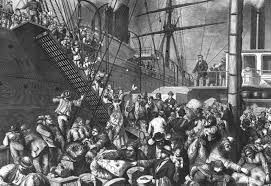 Beginning at the port of Philadelphia, where many immigrants enter the colonies. 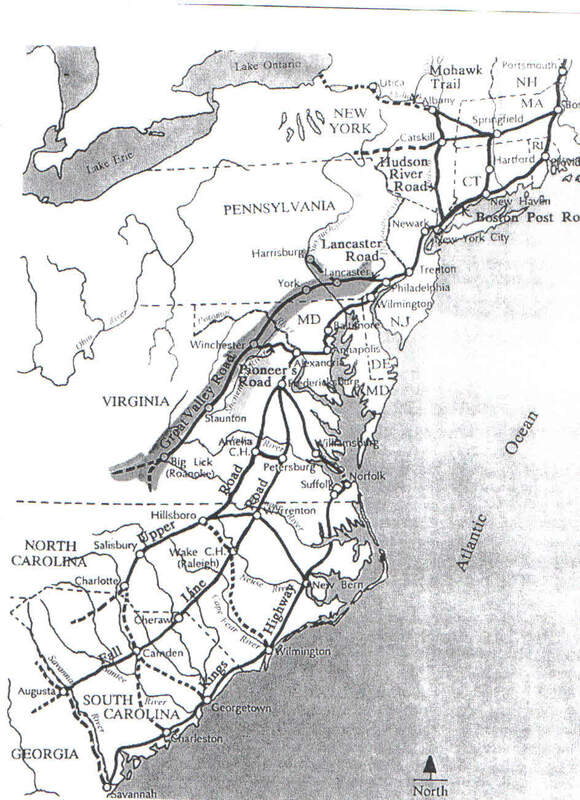 The Great Wagon Road stretched from Philadelphia to Augusta, Georgia, passing through the town of Lancaster and York, Pennsylvania down south through Shenandoah Valley in Virginia. And down to North Carolina. They traveled by covered wagon pulled by four to six horses. The trip was very hard. The Great Wagon Road was slow, narrow, muddy, dusty, bumpy, and uneven. 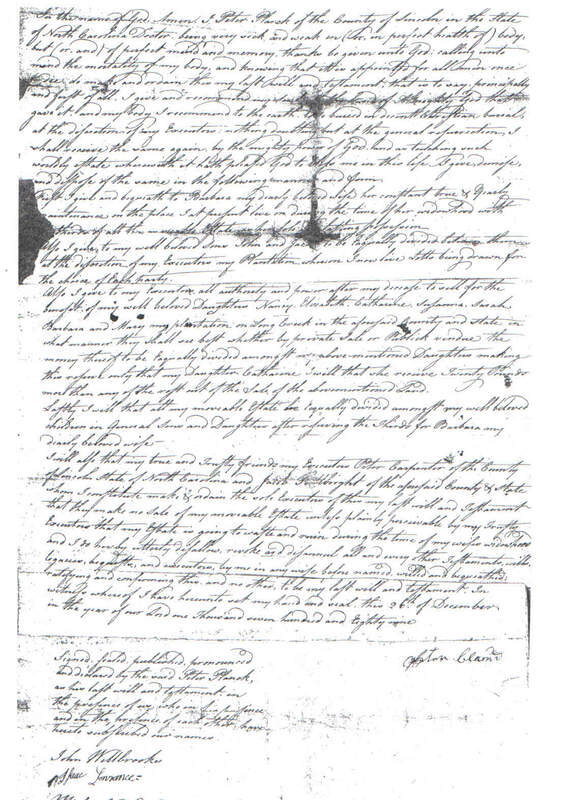 Dr Peter Plunk purchased his first land in Lincoln County, North Carolina in 1765. 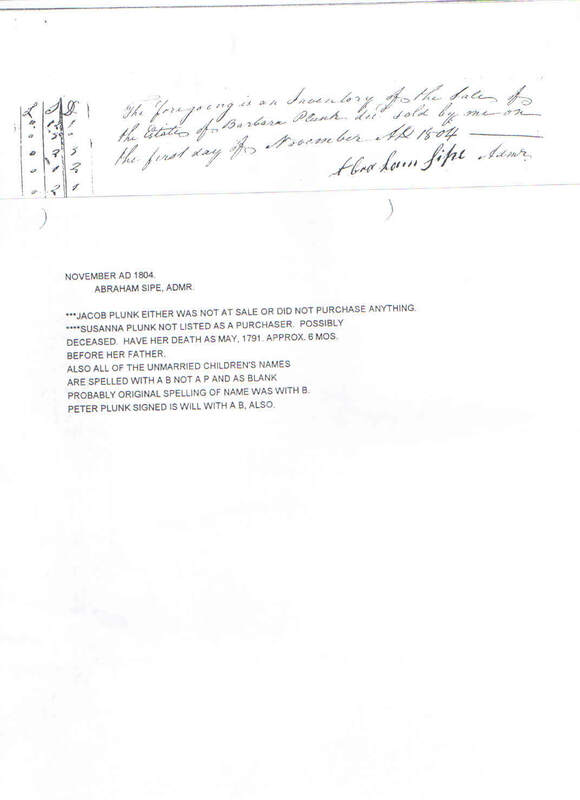 Copy of Lancaster County Pennsylvnia will on Nicholas Blank/Blanck/Plank are very similar to Dr. Peter Plunk signature on his will in Lincoln County North Carolina. 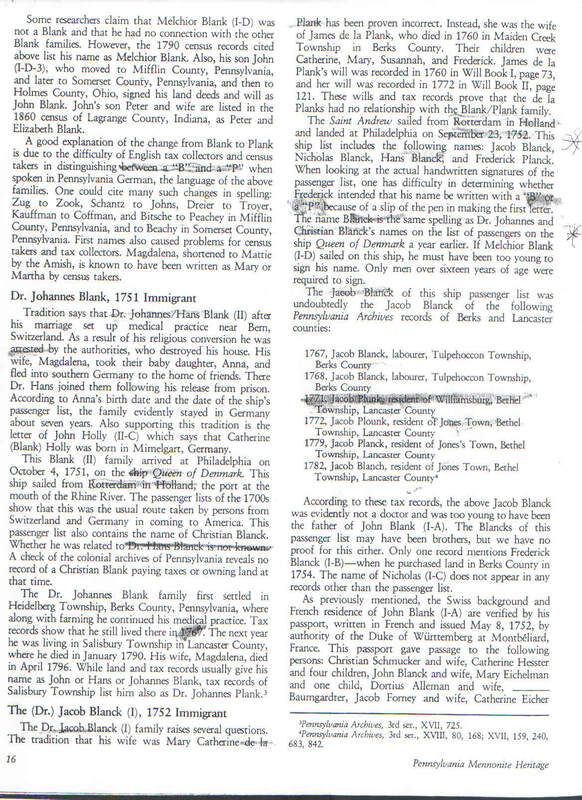 I realize the above information on the Blank (Blanck) family is not documented proof of our ancestry, but my DNA results which has linked me to several families which were on the same ships as the Blanck's is a reasonable assumption. 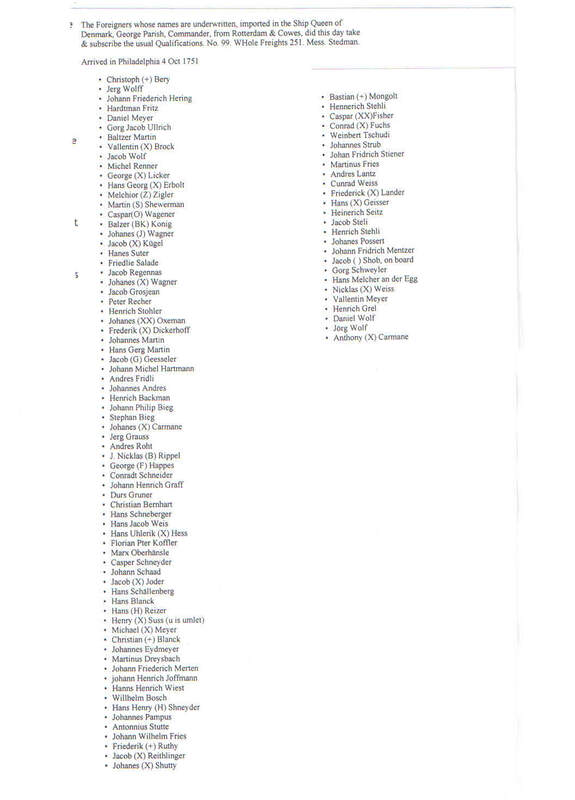 Definite documented proof will probably never be found. 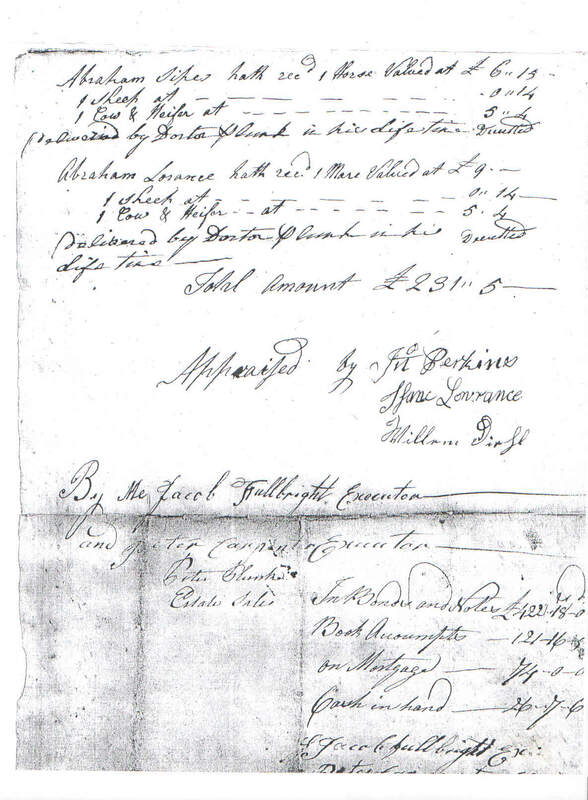 Therefore, we probably will only be able to trace our family back to Dr. Peter Plunk of Lincoln County, NC.